Cut off the top and sides of a zip top bag and lay it onto the tortilla press. 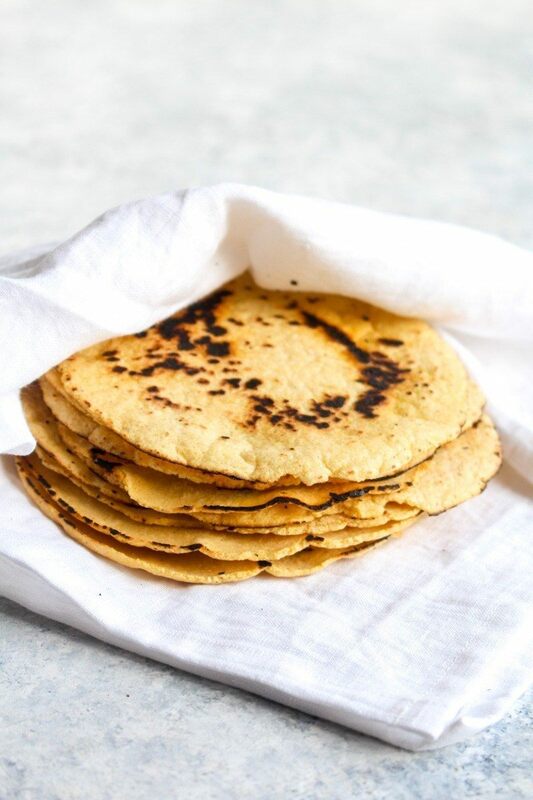 This is the best method to ensure your tortillas don't stick to the press and drive you crazy. Plastic wrap can't hold a candle to a zip top bag, here. All that's left to do is fill your tortilla with whatever your heart desires and ENJOY!